Years ago, if you wanted to buy a rug you simply went to a rug store. Most of the time you would walk away with a wool rug. Wool rugs are strong, take dyes vividly, wash up wonderfully and, simply, last for years! Even lower quality rugs from this era can still last decades. Rugs were once a great investment – but these days the market is flooded with cheaper, synthetic rugs. As such, issues with rug cleaning have risen due to these cheap rugs. This can cost you more money in the long run. So here are our top reasons why synthetic rugs might not be your best option. Wool rugs, when woven, form little pockets that capture dust and dirt. This means they look good even when dirty. 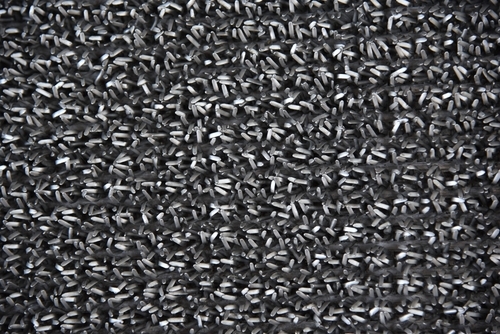 But polyester and acrylic rugs use plastic strands that are solid and smooth. This means there’s no place for the dirt to hide so it simply clings to the top of the fibres. As a result, these rugs get duller and uglier faster than wool rugs. Synthetic rugs need cleaning mere months after purchasing it while wool rugs can last 1-2 years before they need rug cleaning. Synthetic rugs wear and turn yellow faster than wool rugs and do not stand up well to abrasion. In fact most commercial spaces use synthetic rugs and carpet. You can clearly see how worn the fibres become after only a year. Synthetic fibres are simply the worst to have in a commercial or residential building because they do not stand up to traffic or rug cleaning. 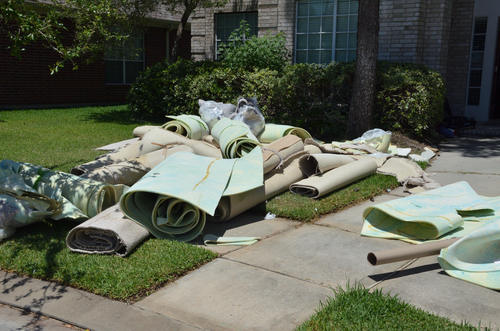 Consequently, you will be forever replacing your rug and carpet, rather than having it as an investment. Synthetic rugs grab everything that touches them which makes it difficult to remove lint, hair, and grime, making rug cleaning a nightmare. These new fibres are next to impossible to get clean again as cleaners often have to pick debris out by hand. The type of construction used in synthetic rugs means they cannot be cleaned at home with regular cleaning products or vacuums. As a result, synthetic rugs are more expensive to get cleaned – sometimes costing more than the rug itself! Further, synthetic rugs are also uncomfortable compared to wool rugs, due to being constructed from plastic. They are not soft to the touch and can become quite scratchy and unappealing. Wool rugs, on the other hand, always stay soft and comfortable. 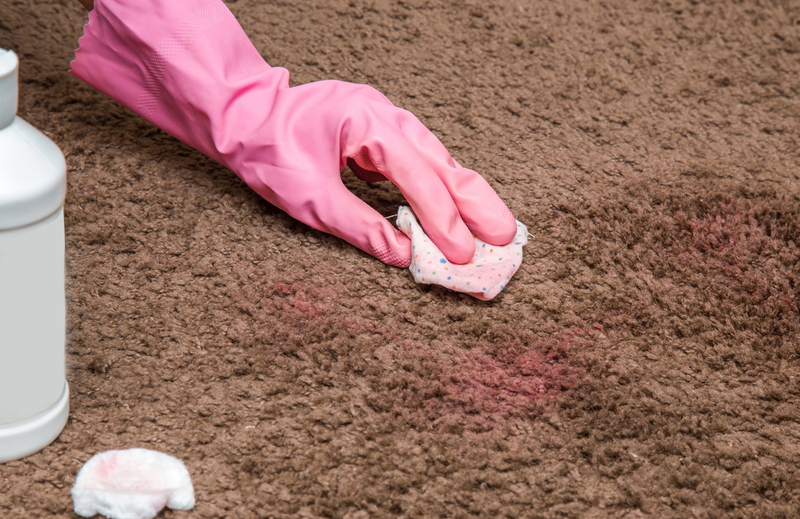 While plastic fibres are ugly, many people assume they are the better choice for stain removal. However, this is far from true. Many – if not most – synthetic rugs are wrapped around jute. Jute is an absorbent plant fibre that is often mistaken for straw. While the plastic fibres of the rug may not hold the odour of animal urine, the jute base most definitely will. In fact, jute is far worse than wool for holding onto odours and stains. Consequently, rug cleaning synthetics for odours means you will either need to pay more than the rug is worth to have it fully cleaned and deodorised or buy a brand new rug. On the other hand, woollen and other traditional rug fibres are easier to deodorise – though no rug cleaner will guarantee the complete removal of urine stains as these are difficult to remove. Unlike wool and natural fibre rugs, synthetic rugs are made from petroleum bases. Due to construction techniques, many people don’t realise that their new rug is actually plastic and, as such, are not a renewable resource. Wool and natural fibres, on the other hand, are far better for the environment and their longevity means they don’t end up in land fill like cheap synthetic rugs. We love cleaning wool rugs because customers are always so surprised and delighted by the change after a thorough rug cleaning. However, with synthetic rugs, even though they can be cleaned they never look as good as wool rugs. Further, as time goes on, the rug will look yellower and dirty despite cleaning. Synthetic rugs will never compare with the works of art that are traditional, antique and woollen rugs. If you must buy a synthetic rug, ensure it is not in a high traffic area so it will last a little longer. The modern rug market is flooded with bad, synthetic rugs. These disposable rugs are terrible for your home and for the environment. Woods always recommend investing in a good quality woollen, woven rug that will last for years. Like any stunning art piece, they will make an incredible impact on your home. Contact us today for more information on our rug cleaning services.